A quick view of the most influential metrics in Cabbagetown. Scroll below to view CABBAGETOWN homes for sale. WELCOME TO A HISTORIC NEIGHBORHOOD AND FAVORITE OF LOCAL ARTISTS. Learn about the newest Cabbagetown homes for sale & real estate listings in Atlanta, GA! The local jewel blossomed in recent years given special attention for its rich history. The little district grew around the Fulton Cotton and Bag Mill. The first residents roots were in the working class community that ran the Mill. During the 1980's and 1990's, the became home to many artists and musicians. Originally, the Atlanta Rolling Mill was destroyed after the Battle of Atlanta. Eventually, Cabbagetown was built as the surrounding mill town. The area had one of the first textile processing mills built in the south. However, the primary product was cotton bags for packaging farm products. After being built during a period when many industries were relocating to the post-Reconstruction South in search of cheap labor, it opened shortly after the International Cotton Exposition. The exposition was held in Atlanta. Eventually, the mill was owned by Jacob Elsas, a German Jewish immigrant. First, the work force consisted of poor whites from the Appalachian region of north Georgia. Finally, Elsas built a small community of one and two-story shotgun houses and cottage-style houses surrounding the mill, originally known as Factory Town' or Fulton Mill Village. At its height, the mill employed 2,600 people. Cabbagetown was home to a close community of people whose lives revolved around the mill for over half a century until it closed in 1977. At last, the mill itself was named to the National Register of Historic Places in 1976. However, the neighborhood changed after the mill closed. 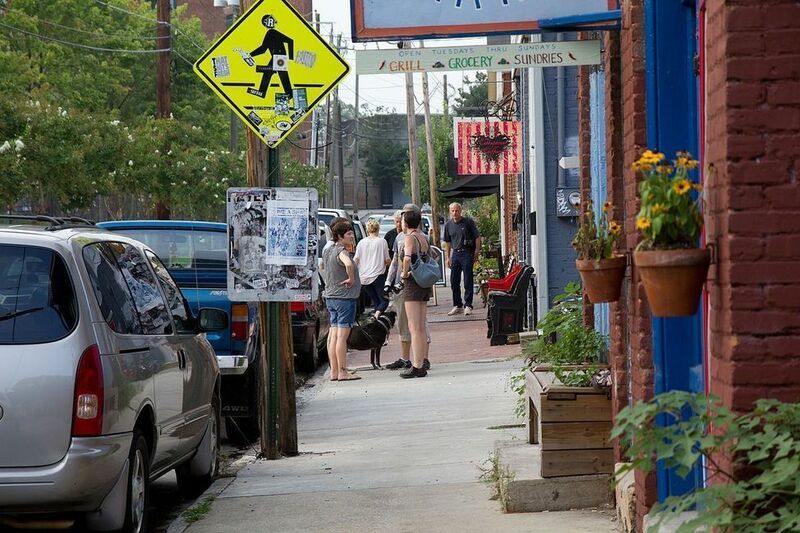 Thankfully, the neighborhood has not lost its quirky, colorful, Southern flavor. Recently, newcomers interested in the arts began moving in. Looking to buy or sell a home in Cabbagetown? View our selection of available properties in the Cabbagetown area. Check out the latest demographic information available for Cabbagetown. Browse through the top rated businesses in the most popular categories Cabbagetown has to offer.